Apple announced their Q3 results yesterday, announcing a year-over-year revenue growth of 7 Percent and year-over-year EPS Growth of 17 Percent. Apple watch sales have also increased by 50 percent since last year. The only thing that doesn’t look good in company’s results is its performance in China. The sales there have declined 10% year-over-year and 25 percent compared to last quarter. However this story is not about their quarterly result but rather a surprising announcement made by company’s CFO, Luca Maestri. He announced that Apply Pay will be making its way to four new countries which and UAE is in that list. There had been a lot of rumors about Apply Pay’s launch in UAE but with Masteri’s announcements things have become official now. Apart from UAE, it will go live in Denmark, Finland & Sweden as well; within this year. 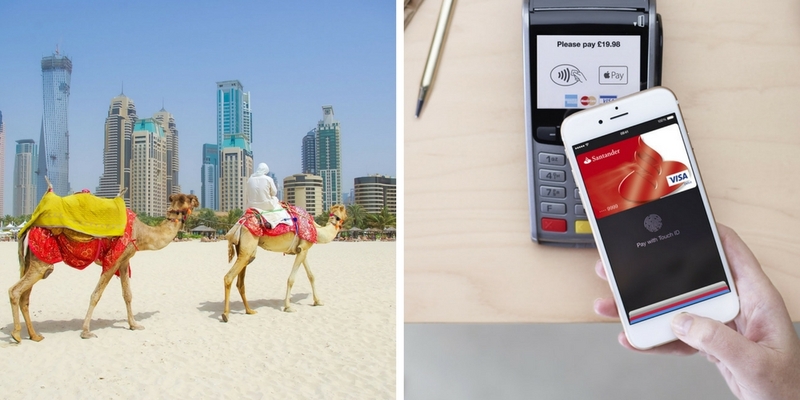 UAE will be Apple Pay’s first home in Middle East & North Africa. The service that lets users make payments using an iPhone, Apple Watch, iPad or Mac as of now is available in more than twenty countries including United States, Canada China & different European countries. Maestri was not very specific about when exactly the service will be made available but said that Apple Pay is “scheduled to go live before the end of this calendar year” in those countries. Apple CFO also shared some general details about Apple Pay’s growth. “Apple Pay is by far the number one NFC payment service on mobile devices with nearly 90% of all transactions globally. Momentum is strongest in international markets where the infrastructure for mobile payments has developed faster than in the US. In fact, three out of four Apple Pay transactions happen outside the US. At this point, its not clear who the participating banks would be from UAE.